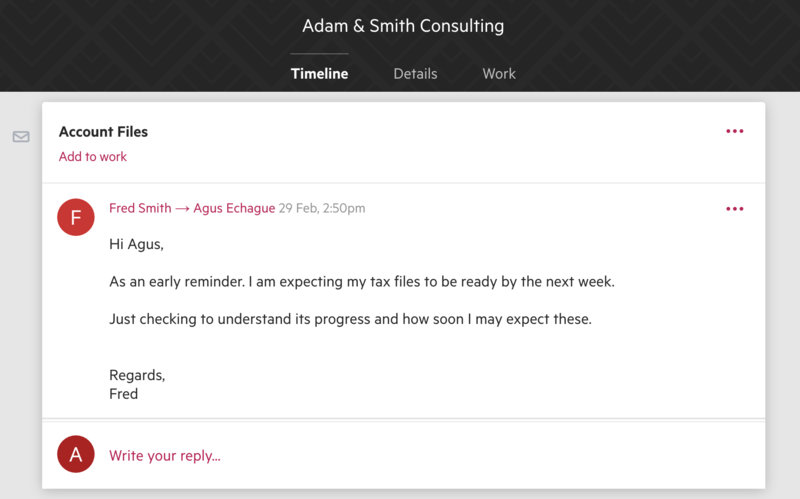 Easily store an email or file an email away by adding the email to a contact timeline. 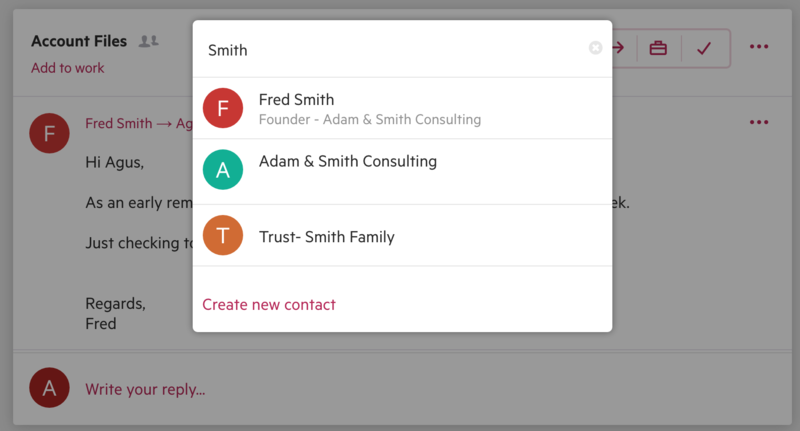 If you add the sender of an email as a contact, the email will show up in that contact's timeline automatically. In that case, you click on the Options menu "..." and select Add to contact. The email will now show up in the organization's timeline.